I know I’m very late on posting my end result. Before I left to Maui, I was working about 12 hour days just to make sure I had everything done before my seven day vacation. Once I arrived to Maui, I did not have access to a computer. After the vacation, I have been working non-stop until yesterday and today which are my first days off. So now it’s here, the end of my journey. But really, it feels like the beginning of my new life because of what I have accomplished. We arrived in Maui on Wednesday September 12 early noon. Maui is simply gorgeous and breathtaking. William and I were surrounded by beauty. Everything was green, clean, and radiant. It’s a beautiful island to visit. Prior to the vacation, I had one of the most busiest months at work and was only able to get some quick runs here and there. However I was not as nervous anymore. I knew that no matter what, I was going to finish the marathon even it took me many hours to finish it. 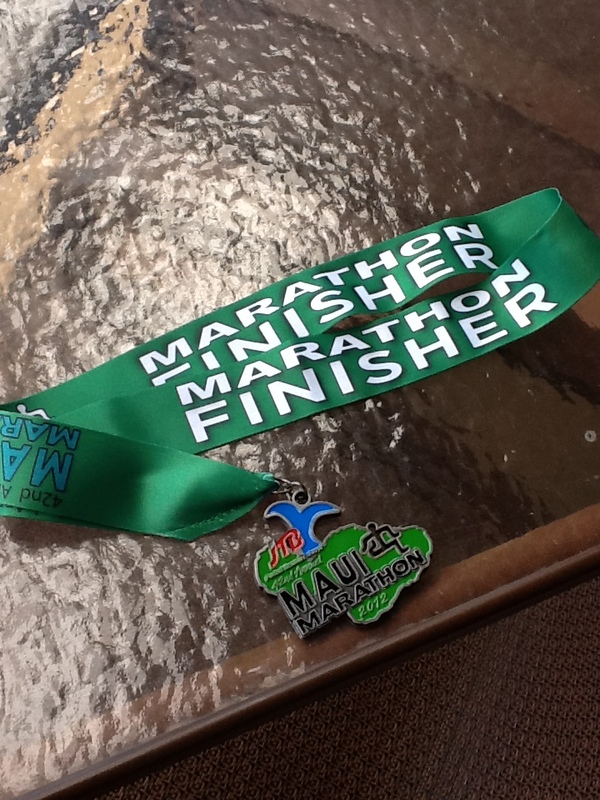 Once in Maui, we had until Sunday to get excited for the marathon. There was one morning where we ran in the sand for probably two miles. Mostly every day we were active with something, either snorkeling, hiking, walking, or eating. Saturday evening, we made sure to go to bed early since we had to be at the bus line at 3:00am. The marathon was scheduled to start at 5:30am on Sunday. We woke up at about 2:00am and got ready. I made myself eat some cereal as well. We walked to bus line walk awake. It was very early and I began to get tired. I slept most of the bus ride to our starting area. We arrived at the starting line at about 4:00am. William and I ate a muffin and a banana for some fuel. That’s when I decided to pay my first visit to the bathroom which was good because I did not want to go once I started running. We then stretched and did some warm up routines with the crowd. It was pretty funny watching everyone do the same warm up routine. Right before the marathon was going to start, I had to go to the bathroom again. So I took advantage of the opportunity and went again. Once I was finished, everyone had walked already to the starting line. William was the only one waiting for me. Lucky for us the marathon did not seem over crowded. I heard from somebody that the maximum count would be 2,000 runners. We were now at the starting line waiting for the gun to shoot. I will still not nervous and was feeling pretty happy. The sky was still was night and there was a slight breeze. Once the gun shot was heard, the crowds started to move and spread apart from each other. William stayed near me the whole time. The plan was to start slow and easy and not run too much the first half of the marathon which is when we were going to get all the hills. I wanted to save energy for the end of the marathon. I felt confident and I told William that I wanted to finish the marathon in 5.5 hours. I did not know if that was realistic but I was feeling good about it. The first few miles went by quickly. We were running through the city and the residences. At about the third or fourth mile, the sky was turning gray and there were some clouds in the sky. It was nice to run this early and watch the sky transform. We walked some of the time but mostly kept a steady running pace. I started to look around at the runners to see who we can possibly run by. There were couples, seniors, a lot of Japanese runners (the marathon was sponsored by Japan Travel Bureau) and not a lot of young people. Most runners looked like they were in their thirties. There was a loud annoying couple that we kept passing by that did not seem to get along, there was a girl with a lot of curly hair that looked like it was her first time running, and there were some fast walkers. A nice range of runners I would say. My left leg was very tight. My hamstrings had not been stretched out properly so I was running with a lot of tightness on my left leg. At the 6th mile I was still feeling good except for the left leg. We stopped a few times to stretch it out hoping it would help. William and I found a fast walker who we over heard saying that he usually finished his marathons in about five hours, at the latest five and a half. So we decided to run around him so we wouldn’t fall behind. It seemed to work. Anytime he started to creep up behind us, we began to run and once we were ahead of him, we would walk a bit. I did not want to get tired early in the race. William and I were both very excited to be running with each other. I think it was one of our most exciting moments. We talked about all kinds of things during the run and I think it was good for us. I’m one lucky gal to have him around! At about the tenth mile we started to slow down. I started to get hungry and I wanted a piece of a banana but none of the stations had bananas, they had oranges. I knew that if I had a piece of orange, I would probably go to the bathroom again. After the 12th mile, there was a water station with bananas, yay! I had a piece and felt better. We finished half of the marathon in two hours and 37 minutes. Not bad since I had done my Montecito half marathon right under 2.5 hours. We were not so behind but I knew that my legs were getting tired. The muscles on my left leg were no longer tight but now it was about endurance. I knew that I was going into the hard part, the part I had not really trained for. After the 13th mile, my bowels were moving again and had to go to the bathroom bad. There were porta potties at each water station and I finally saw one that did not have a line at about the 14th mile. It was so disgusting in there. It looked like there had been some accidents in there from previous runners. I did my business not fast enough and I started to gag because of the smell. It was also very hot in there and it seemed I started to take a shower in my own sweat. This was probably the only bad experience of the marathon-using the potta potties. So gross. Once that experience was over, William and I ran a bit more. We had lost our fast walker that we were supposed to pace it with. Once we reached the 15th mile, I had to walk. At this point, we were walking and running right by the ocean. It was a beautiful view but it just started to get very hot. We made sure we drank water and Powerade at each station. After the 15th mile, the marathon was becoming more difficult to run and we had to walk more. The sun was beating down our necks and the feet were becoming numb. I did not know what I was feeling in my legs but just knew that I did not want to stop. I was disappointed in myself for walking but William reminded me that it was not about the time, it was about finishing. He reminded me that this was more than just a marathon, it was about not quitting and proving that you can do anything you want in life. This helped my attitude. We passed through more miles and I felt like I started moving slower. Once we reached about 20 miles, I was beat. I couldn’t get myself to run again so we tried to walk fast. My goal of 5.5 half hours was turning to 6 hours. My miles went from averaging 10 minutes, to 15 minutes, to now about 20 minute miles. We finally reached Front Street and only had about four miles left to go. We passed by the Banyan trees and the shopping strip that we had previously visited. People were cheering us on and yelling “you can do it!” I felt like saying to them Why don’t you try it? I know I was just being cranky because I wanted to finish. It was the longest and slowest four miles to go. I would say that this part was the hardest part because your body does not have anything else to give and now it’s just up to your mind to keep you going. We started to see our destination two miles away. I was not excited yet. I was not going to be excited until I crossed the finish line. The finish line was at the Westin Hotel, our neighbor hotel to where we were staying at the Hyatt Regency. About less than a mile to go and we were almost there. We started to see runners that were already done and leaving and were still cheering us on. We got closer and started to see the finish line so out of nowhere we began to run together holding hands. I don’t know where I got the strength to run but we did and ran the last portion before we crossed the finish line. We got laid by seashells and got our medal, finally!!! I don’t know if I have ever experience something this hard. There have been some beastly mountain hikes I have taken but this was different. It was a great victory that I thought I never could possibly accomplish. I never thought myself as a runner and here I was, crossing my first marathon finish line with the love of my life. Running this marathon is the start of a new chapter in my life. Since I have read Born to Run and finished this race, I have decided to make some changes in my life in the way I eat and live. I want to live simple, eat less and better, and continue running. I want to continue being physically active with new obstacles and run another marathon someday. I have new positive perceptions in life and I want to continue inspiring people to push themselves to their limits. It’s a great outcome. Yikes! I have waited too long to blog! It’s only because my schedule has been all over the place. Now it’s time to catch up! I would say June is the month of change. It’s the month where I started my official training schedule. I run about three times during the week and run my long run on Sundays. The fall I had early in June delayed me a little. I might have skipped about two runs during the week day but I did not skip my long Sunday run, which is the most important run of the week! June has been a big success. I noticed improvements with my body. I get less tired during my runs and I’ve been able to run uphills! There are still a few which kill me but overall I think I can manage a few uphills. For June, my longest run that I achieved was eight miles. It was a great 8-mile run because my friend Carmen waited for me with her two daughters at the 4 mile mark with some water. I surprised myself on how steady I was the whole time. It only took me 1 hour and 24 minutes to run 8 miles. I was pretty pleased at myself! However, now that I’m running longer, there are some consequences to that. After my 8 mile I discovered a painful red rash under my breasts. I got so scared! William explained to me that it’s chafing from the clothes and skin. All runners experience this. I went to a woman marathoner for advice on this one because William does not have the boobies that I do. The woman marathoner told me that most women get this. There is no perfect sports bra for this but things that will help according to her is to put vaseline (click here to listen to the vaseline song) in those locations that will rub a lot. Also the tighter the breasts are in the sports bra, the less movement. I started putting vaseline under my breasts and wearing tight tank tops with the sports bra until I get better clothes. So now I’m showing more cleavage that I wanted to but oh well, I have to protect the twins! My body has also been changing. I told William that I feel like a cocoon. I’ve been trapped in this cocoon for a few years and now I have began my metamorphosis with my training. My fingernails have been growing fast and firm. They are unbreakable! My legs definitely feel stronger and tight. My belly does not stick out as much or does not look bloated. I’ve been breaking out on my face a lot. There’s been zits all over the face! It must be the sweat or possibly my body is releasing lot of toxins. So release the toxins! I’m also hungry all the time. I eat about every two hours and sometimes I can’t keep up with myself. The great thing is that William bought us a grill. I’ve been grilling everything that we eat! Chicken, tilapia, vegetables…it’s all delicious and healthy! I’m still about the same weight at 170 lbs but I does not matter. I can feel the changes each day. I also bought new running shoes. It was time to switch them out and get new selections that I will be using for the marathon. I met William at the store to go shoe shopping. He was very helpful and laid out about six different pairs of shoes for me at DSW. I tried each pair and walked around in them. I ended going with the same shoes I bought in January but the most recent version without realizing this! This must tell me something. The shoes I have are Asics Gels for women. They have been the most comfortable for my running. I’m glad to say that I have not had any issues with my running shoes. 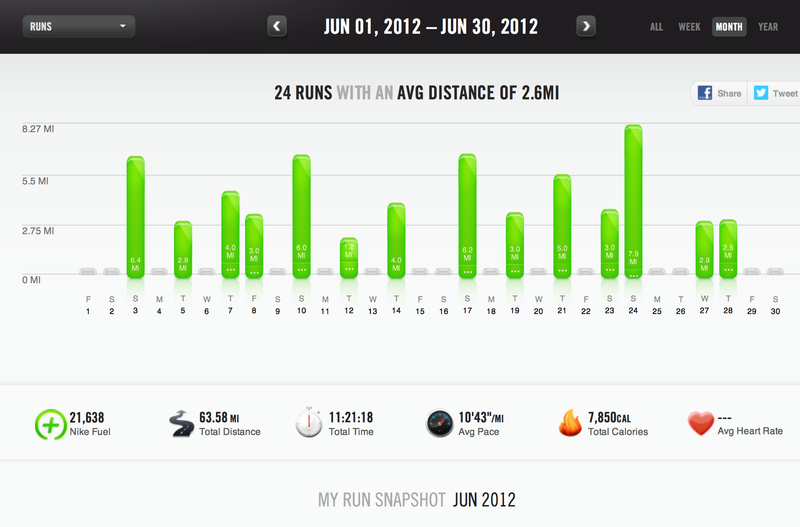 Overall for June, I feel that this has been the turning point of my training. For the first five months of this year, I was trying to get my body used to run steady and to learn how to run. June hit and I feel it’s stage two: The Metamorphosis month. My body has reacted to my running and it is transforming each day. The Mt. Baldy hike that I did on May 12th did wonders on my body (Mt. Baldy post to follow soon). I almost forgot how a hike helps the body in so many ways. Some time this week I managed to come up to 6 mile runs each time I ran. The hike I did last Saturday really helped a lot on my endurance. After Saturday’s 10 mile hike at Mr. Baldy, I was sore for a few days. I was not able to run until Wednesday May 16th where I actually felt good to run after being so sore from my legs. I was ready to change it up a bit and asked William what my goals should be for the week. He responded that I should focus on the length of my run rather than my distance. “You should be able to run at least one hour after hiking Mt. Baldy,” said Coach William. I thought it was good idea and remembered reading this somewhere. It’s not about the distance, it’s about how long you can take it! So I decided to run about one hour. I ended up running five miles up towards San Pascual Avenue and back to my house. I felt very energetic like a ball of fire running through the streets of Highland Park. I almost did it in one hour. It was getting really dark so I only did five miles in 53 minutes. I did it again on Friday evening after work and this time I ran down San Pascual Avenue, to the park, and to the beginning of one of the Arroyo Seco trails. It was 3 miles to this point and did it in 30 minutes. I ran back to my house after hitting the beginning of the trail. I realized that I was running more and walking less. My legs felt they were on a good pace for the most part of the run. I ended with six miles in one hour and three minutes. I was very happy to accomplish this part of my training. I felt more confident in achieving my goal that I have which is to run 13 miles by July. Just a few months ago I was running two to four miles runs and now I feel that my minimum I should be running is six miles during the week. I actually feel somewhat of a runner! I hit a brick wall on Sunday, May 20th. I had the most laziest Sunday ever and knew that I had to get in my run. This Sunday run was supposed to be my long run but I had no energy or motivation to get my legs out there to run. I did not want to quit but I did not have any urge to get up and run. William did not look like he was giving in. He was determined to do a run on Sunday because he had skipped a few runs during the week. We had also been indulging in munchies and treats because we were busy watching the basketball playoffs. Now it was time to run and I had to do it. I got dressed and started my run with William. Immediately my body felt heavy and my knees felt they were getting pounded on the concrete. I stopped a few times to walk on this awful long run. I did not want to quit. How could I after hiking ten miles and running a total of 11 miles this past week? So I pouted and pushed myself and tried to keep up with William. What a big difference from Friday’s run to Sunday’s run. We were almost at the midpoint from Friday’s run when William turned around and asked me if I wanted to turn around. “I made it this far feeling like this, we might as well make it to the midpoint and then turn back,” I responded. “Yeah! That’s the spirit!” William was very happy with my response. We started late on the run and once we reached this point, it was dark and turned back. I know that I would have not made it this far if it wasn’t for William. He made this run happen. Sometimes it’s just one of those days and Sunday was one of them for me. On the way back I finally started to feel I was at a good pace. The last portion of the run I ran steadily but it basically took me the whole time of the run to get this pace! Oh what a drag. I ended up running 6.45 miles in one hour and thirteen minutes. I would say that this has been one my most difficult runs I have done. And it wasn’t even the road, it was me and the lack of energy I had. I hope they get better! The only time I was really tired was right after the Merrel Mud run on Sunday. I took about a two-hour nap after taking a shower. Monday I woke up with full energy and stayed home to clean and organize the house. The whole day I was moving around and ended the night by going to to the LA Clippers game! Today I woke up just fine but was tired by 5pm on the way home from work. I knew I wanted to run because this upcoming week is going to be busy and did not want to get behind like I have in the past. I’m also having knee pains on my right knee. My knees are a little scratched and bruised from the mud run on Sunday. William gave me some stuff to numb my knee while I ran. I decided to do a quick three mile run just to be able to do something and aim to run five miles tomorrow after work hoping my knee is not hurting anymore. So I started my run and played my iNano to some Astronomy by Metallica. It’s the perfect song to start your run because it starts slow and about a minute into it, the guitars and drums start going crazy and gets my heart pumping. The knee pain didn’t really go away but I pushed myself to run and the music in my ears was helping. The last half of the three miles was painful on my knee. I had to walk the last tenth of my last mile because the pain was getting worse. I ran three miles n 29 minutes. I came home and William put frozen fruit on my knee and here I am blogging on the couch. Hopefully tomorrow I do better. So it didn’t really get better after my last post. As you can see, it’s been over a month and I’m finally blogging! I started behind in March and did not make a lot of time to run in the beginning of the month. My diet was not consistent nor my exercise. It’s the typical reason as usual. Too much time at work and not enough energy to run. I started to worry on how it was going to affect my body. I figured that once I started running again, I had to start all over. So when I finally began, I began with a new motivation. I bought an iNano to see if it would help me focus on the running. I also wanted something to track my running and the cool little electric nano has the Nike Fitness application. My first run was on March 20th (like I said earlier, I was very behind). I didn’t have any music yet in my nano. I only timed myself and measured my distance. My first run was not as bad as I thought it would be. I ran about half an hour with some stopping here and there but managed to not run out of breath so easily. It felt good to run again and I pushed myself not to stop so easily. It was a nice little run to start with. The next run I did was on the 22nd and ran for another 3o minutes. The runs were good and I was managing to run about four miles. The problem that I still was not running a lot. I was only averaging about 2 to 3 runs a week. I ended the end of March weighting about the same as the prior month. My finishing weight was 171.2 lbs. Not good enough. I know it’s not about my weight but more of what I’m doing. But I also know that I have not made much progress. Starting April, William started running with me. Keep in mind that he just finished his third Los Angeles Marathon. He needed time to recover and was not running with me when I started in March. We started running right after work down York Blvd. Two miles there and two miles back. 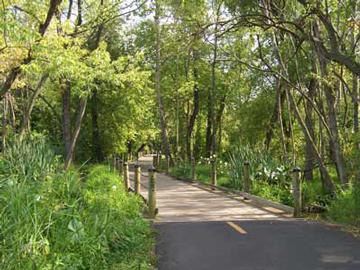 However it’s been a challenge for me because as soon as I hit about one mile of running, I have to go to the bathroom! I’ve blogged about this before but it’s getting very frustrating now because it’s a very uncomfortable feeling and I’m having to stop at McDonald’s to go to the bathroom. We just finished the first week of April and I’m only running about four miles. I need to step it up and be more aggressive or else I’m never going to keep up! So what I have done is that William has signed us up for the Merrel Down and Dirty taking place this coming Sunday the 15th at Castaic Lake. It is 10 kilometers of pure hell for me because I’m going to be running hills! Something I have not worked on. Just this morning I went to meet with a friend for a hike. So to practice, I rode my bicycle to her house. I did not realized that she lived up a hills so I was pedaling and sweating for the last two miles to her. Once I got there we took a hike around her hill and it felt great. This week I plan to continue running and change my route to where there are more hills. I’m also going to be blogging more. I’ve noticed that it helps to write and track my challenges for the whole world to see. I haven’t been able to do much blogging. It’s been one of those months. I started the month off strong but at the end of the month I got a little behind. I was running about 3-4 times a week but I was getting out of work late and was not able to get to the Internet to blog. I don’t have Internet at home so that’s why I have to drive to places to post my blogs. I need to get better at my posts so I don’t forget my runs! I also left to a work conference in Las Vegas at the end of February for four days. There I was eating three times a day, and usually full meals. This was something that I wasn’t used to. Typically my meals have been a shake in the morning, solid food for lunch, and a light meal for dinner or sometimes another shake for dinner. At the conference I was having waffles, or a hearty egg meal for breakfast, full lunch, and late dinners. Not good! Delicious, but not good. My last day at the conference was February 29th. When I weighed myself on March 1st, I was 173.6 lbs. I gained some weight back. I know it’s mostly from Vegas. And to make things worst, I have been sick since I’ve been back. It started with nausea, chills, and aches. I first thought it was food poisoning but then I started feeling it in my chest and started to cough a lot. On Friday morning, my whole body was aching. I went to work and only lasted about an hour. I went home and stayed in bed the whole day. By the evening I was able to eat wheat toast and sliced bananas. This morning I woke up with a cold and my head is congested. I can’t wait to get better! Before the conference, I was getting a little behind on my running. I felt I was not running enough. I now have the urge to run every day to catch up. It’s March and I need to be running consistently each day. Hopefully by Monday this all goes away.